Apple is ready to launch its wireless earbuds next edition, AirPods 2. 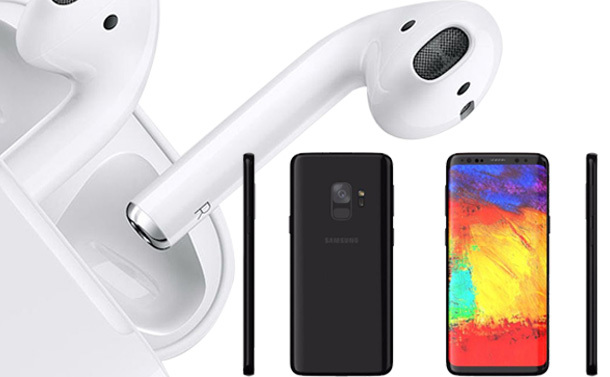 Apple introduced AirPods in 2016 and according to the latest reports just like other products, the next edition will come on the market soon. The highlighted feature of the new model will be a better wireless chip for managing Bluetooth connections. The predecessor AirPods, it has W1, a custom in-house Bluetooth 4.1 chipset which made connecting to iOS devices quick and dependable. Well, there is no confirmation that the next AirPods will have W2 (similar to Apple Watch Series 4) or will be upgraded with a new chip.W1 is one of the most reliable wireless chip in the market, and it is going to be difficult to top that. Apple is also planning to introduce the ability to activate Siri by saying “Hey Siri” rather than tapping on the earbuds. No matter how funny or awkward it seems talking to your headphones but it is pretty helpful in making calls and changing songs when you are kneading dough or hitting the gym. WHAT ARE THE DRAWBACKS OF FIRST EDITION THAT NEEDED TO BE OVERCOME? One of the biggest disappointment with the AirPods is even if the headphones are suitable to use in the gym but it lacks water-resistant. Apparently, Apple is also working on an athlete-focused version Apple AirPod 3 set for 2019 which is supposedly water resistant. Water resistant feature is enough to protect your AirPod from sweat. Well, why only water resistant, why not waterproof! Don’t you think Apple should focus on making its devices waterproof? As for the price quoted for its devices, a user should get a waterproof device after paying so much. The world should be ready to get awed by Samsung’s latest smartphone S9. ISN’T IT THE PEER PRESSURE TALKING? After the launch of iPhone X, the world was bewitched by the style and design of the device. Next in line to dazzle the world is Samsung. Samsung is all set to launch Samsung S9 on this Sunday. The teaser tagline” teaser, “The Camera. Reimagined.” suggests that Samsung has worked upon the camera. Giving the slight hint that the company has worked on camera and picture quality. Samsung has the biggest market share when it comes to an Android phone. Samsung has the pressure maintain the repo and rank. With iPhone X in the market, Samsung needs to pull its socks and notch up the level. According to the reports, Samsung did its best and everyone is expecting something great to launch and it might obliterate. This could be the underlying reason that not a single Android competitor has launched their flagships up till now. All this pressure to be better than one another is the thing that is making technology advanced so fast. Well, you will get to know whether the upgrade is worth or not in coming few weeks. It will answer all the queries of the consumer whether to go for new Samsung smartphone. Samsung S9 is launching on Feb 25, 2018. It is expected to have Qualcomm’s fast new Snapdragon 845 processor, which will enhance the security technology and device’s camera. As it is said to be appearing as a rival for iPhone X, Samsung might work on its face unlocking tool. The company is anticipated to include dual lenses on its Galaxy edition, improve low-light capture, enhance slow-motion, enable superfast focus and introduce animated emojis. Samsung has already introduced many of the features that appeared on iPhone X, in Samsung 8. So, the tech giant has a limited room for edition and enhanced as compared to the devices in the market. However, if the company wants to add new features all together then that could allure consumers more. Well, rumors are rumors, let’s wait till Sunday 25th February 2018, to know it all.